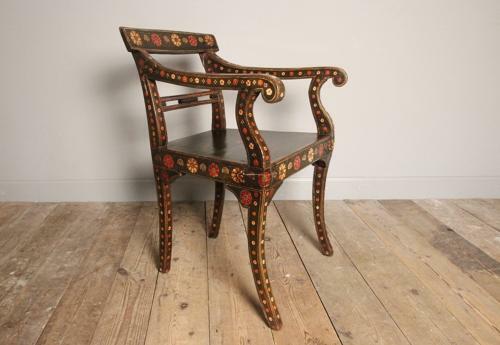 A beautiful highly decorative Regency Elbow chair. The chair with a solid seat, scrolled arms and sabre front legs. Painted in a dark green lacquer with hand painted floral decoration in deep reds and gold's. Firm standing strong chair. Anglo Indian, Circa 1820.